A busy schedule and competing work pressures should not exclude you or your team from accessing high quality personal development, nor should it restrict the quality of the continuous professional development content available to you. The capacity to learn in a relaxed, familiar environment, in an accessible, bite-sized manner is becoming more popular as a means of maintaining the workplace learning journey. To meet this popularity, IMPACTUS Support has developed our Business at Breakfast and Lunch ‘n’ Learn Bite-Size Learning Workshops but Bite-Size doesn’t mean lower quality – far from it…….. The IMPACTUS Support Business at Breakfast and Lunch ‘n’ Learn Bite-Size Learning Workshops are all hosted by experts, delivered by specialists and designed to generate high levels of engagement, confidence building and skills improvement – in a high impact 2 hour session. 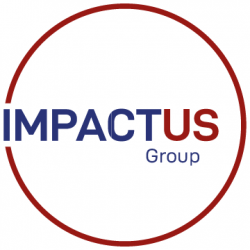 These sessions are always available UK wide, and also internationally as part of engaging IMPACTUS Support or IMPACTUS Events to support your business growth ambitions or your event plans. Why not consider a Bite-Size Learning Workshop as part of your next conference, convention or event?